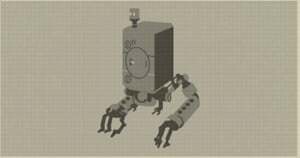 Play System Pod is an Key Item in NieR: Automata. "Shaped after a common household appliance vital for survival." Changes appearnce of Pod to a Playstation. You can equip this item in your menu to change the appearnce of your Pod. is it like a preorder bonus for playstation? like the valve head items on pc? might become dlc on pc and playstation in time(few months or years).